I know what you’re thinking- cocktails on a Monday? And a strawberry mojito cocktail at that! A questionable, yet fabulous idea indeed! Now, the real reason we got to this point in juncture is because…well I spent a lot of the weekend “testing” out this delicious mojito recipe. And in all sorts of settings too! Friday I did the initial test by myself- it proved quite tasty but needed some slight adjustments. Saturday I tested it with friends over and Sunday I tested it in a pre-made version which I discreetly sipped on at the beach. 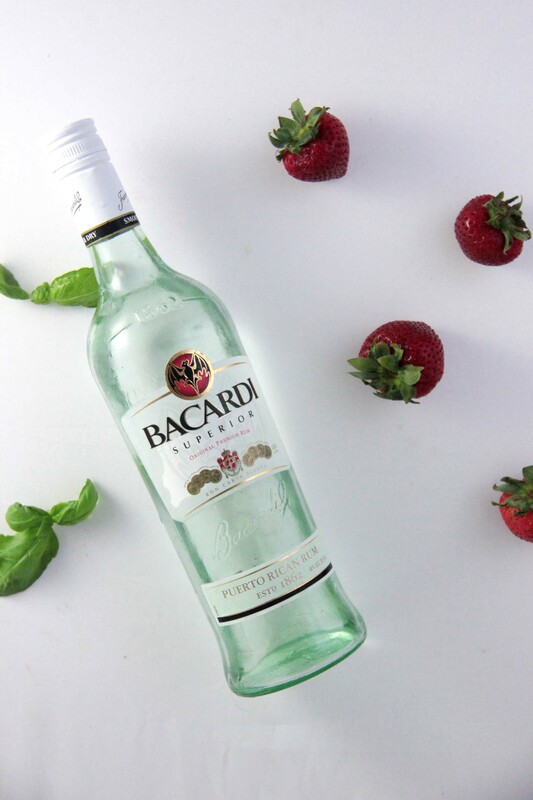 I believe mojitos are the perfect “anytime” drink during the spring and summer. All tests proved to be a success. And how could they not? 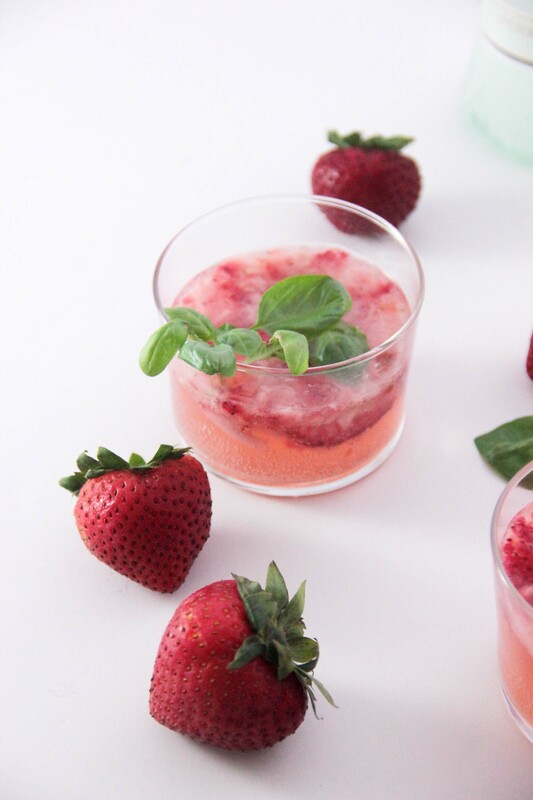 With this recipe, freshly picked strawberries in the spring taste even better muddled with white rum and mixed with a basil simple syrup (for a change of pace over the traditional mint). So while it may be Monday, I strongly believe there is no reason not to give these a try ASAP. Well maybe not ASAP, maybe wait until after you get home from work? 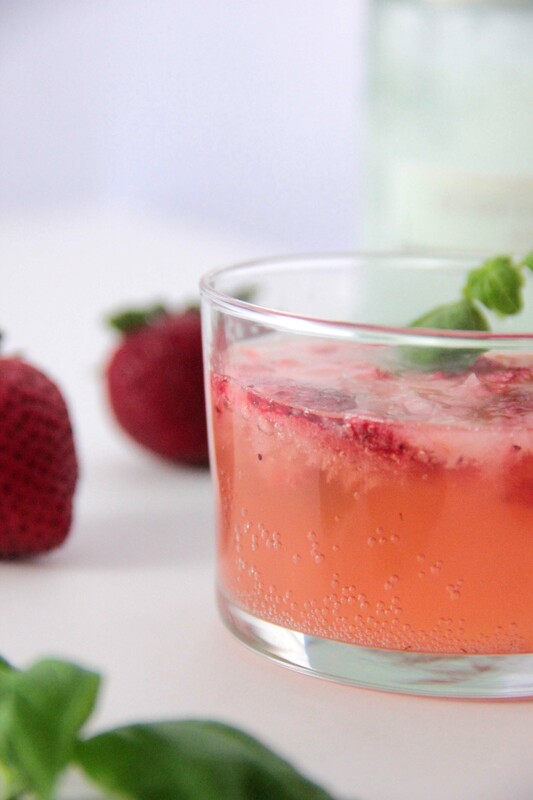 Muddle strawberries in a cocktail glass. Add rum, simple syrup, lime juice and ice. Cover glass and shake for 15 seconds. 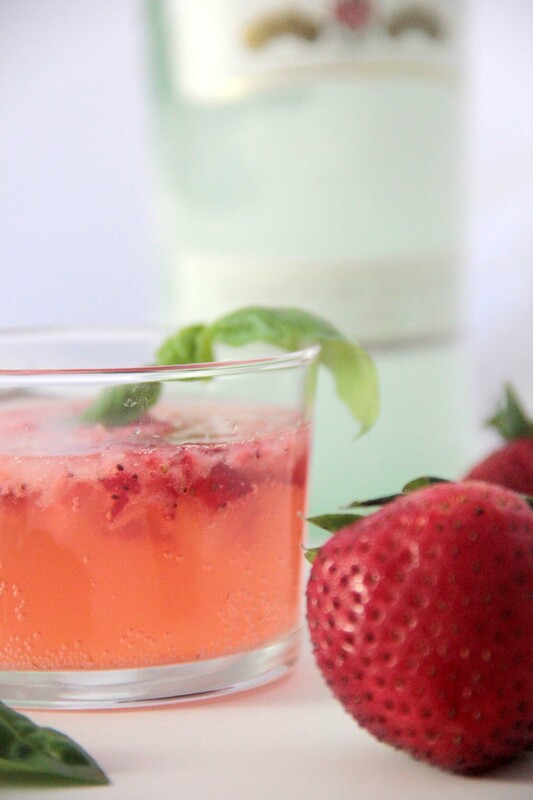 Pour into glass and top with club soda. In a small pot, add sugar, water and basil. Stir over medium heat until sugar has dissolved. Reduce to low and cover pot. Lightly simmer for 20 minutes before turning off. Let the mixture sit for an hour before straining out the basil leaves. Syrup can be stored in a sealed container in the fridge for up to 5 days and can be made ahead. This sure gets me in the mood for Summer! 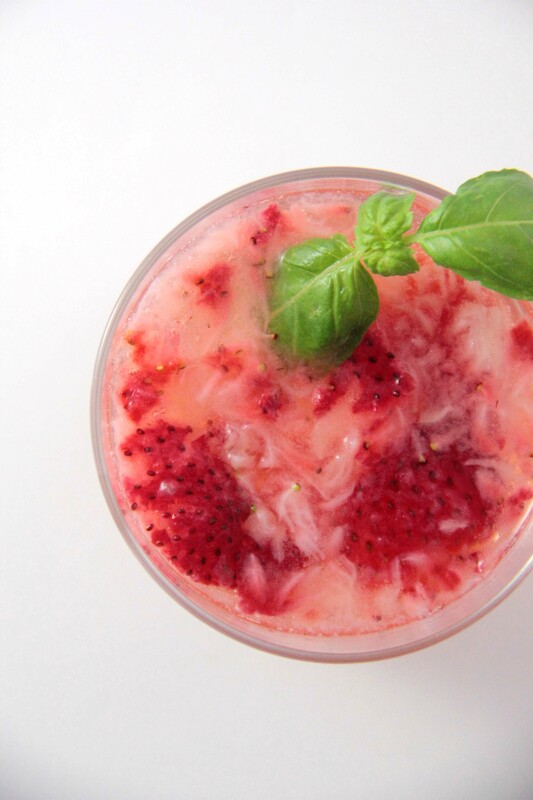 The color of the strawberries shine in this! These look so delicious!! I love mojitos! 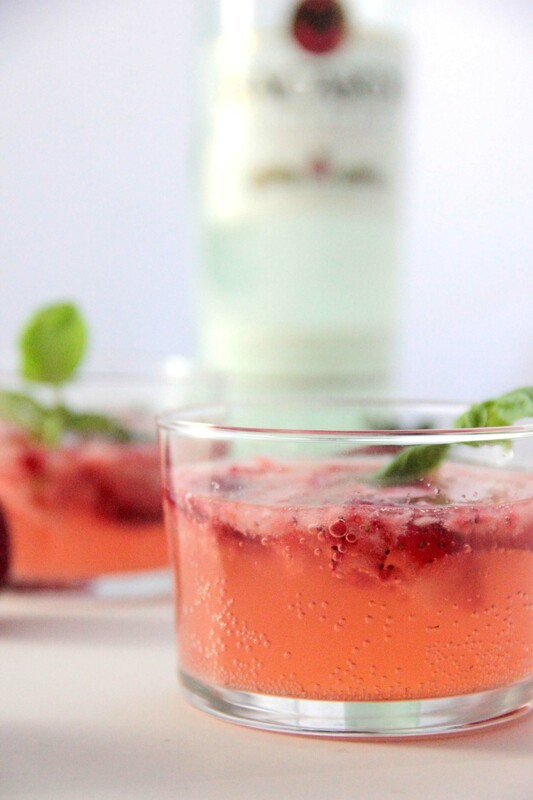 Wow that’s fantastic that you already have basil simple syrup waiting for you! Do tell- what did you use it in before?? I actually tried making an Italian Kicked Up Lemonade with it. Just some lemon juice, basil simple syrup and champagne over ice. Turned out pretty yummy! Yum! That sounds fantastic indeed!